SPLASH INTO SPRING WITH $200 OFF TUITION UNTIL SATURDAY APRIL 27TH!! call (703) 841 9700 TO GET YOUR SEAT RESERVED TODAY!! Very flexible schedules mean you can tie down a seat and arrange a future start date. Call for details and act now 703 841 9700. Free Expansive Job Placement Assistance!! Lots of leads!! 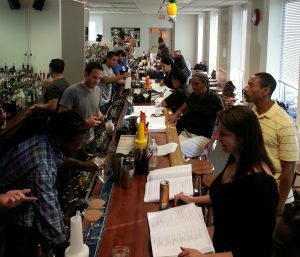 The Professional Bartending School is the longest running and best known bartending school in the greater DC area. Bartenders and Employers know us throughout the region. We are located at 2440 Wilson Boulevard, Arlington, VA. Our location is on the Silver/Orange Line on Metro with only a 2 block walk. Free Parking on site. We train bartenders in a full sized Completely Professional Bar. It’s built out like a high speed busy professional bar for a club. Our instruction and hands on training and practice turn our grads into efficient knowledgeable bartenders. Employers love us. We have an enormous job placement program, because we focus on it. We know most of our students are looking for bartender jobs. We are in touch with thousands of employers in the DC/DMV and directly receive bartender job leads from them. Every week we post new leads, and virtually every day we announce grads landing new bartender jobs. You can see the job placement activity for yourself. 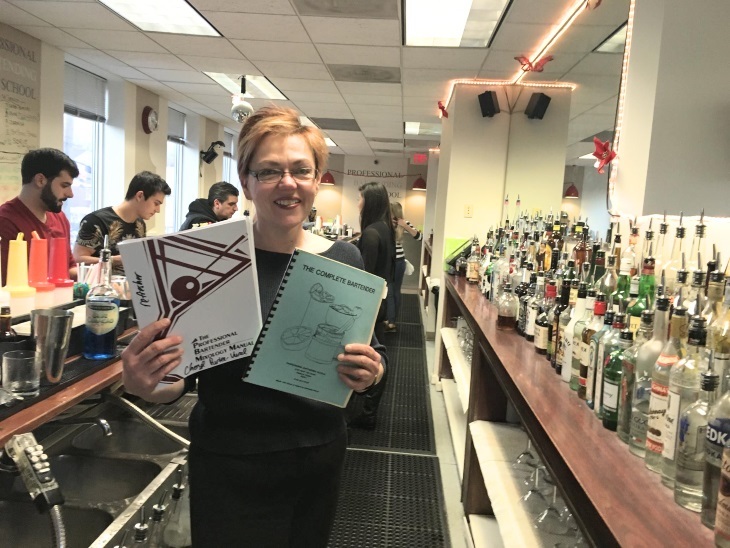 Our Facebook Page posts news of grads landing work; virtually every day, often multiple posts per day with PBS grads landing bartending work in DC, VA, MD and beyond. You can scroll through our FB pages for years, and you will find we keep posting about grads landing work. Our placement services aren’t new. We’ve focused on helping graduates land bartending jobs for decades. Go ahead, scroll through the Facebook posts and check it out, or scroll through the photos and videos. You will find endless pictures of our grads at the bars where they are employed; Real PBS grads/Real Bars. We offer free Bartending Refresher Classes. We’ve been around for decades, and our graduates take advantage of it our free refresher classes. We’ve been around for decades, and our graduates take advantage of our free refresher classes. Go visit this FB post from December 2015. Cheryl took our bartending back in 1988. Then she tended bar regularly in a busy restaurant/bar at Union Station. Can you believe it? She kept our manual from 1988. Why not? There are great drink recipes in it-Classics. She came back and took a free refresher set of classes in 2015. That is 27 years later. Why did she recontact us? Because it worked the first time. We welcome many grads back to practice or retake our classes. Many take the program, use our placement services and leads, land bartending work and do it for several years. If they stop for a while and need to refresh, they return and take our Free Refresher Classes. It’s no joke. Contact Cheryl. She can confirm it. We offer more options for bartending classes than any other school. Our entire program is only 40 hours and consists of 10 different classes. Every week, we offer 3 different class times on weekdays; morning afternoon, or evening classes. We also provide Weekend classes on Saturdays. That is 17 class times every week, more class times than any other bartending school and more times to create scheduling flexibility or to make up classes. Call us if you need to set up a flexible schedule (703) 841 9700. We start new classes EVERY WEEK. If you are busy working, our Weekend Saturday classes are a convenient option. On top of that you can start the program ANY SATURDAY. You can start when you want. You don’t need to wait. You can also spread the program over one or two weeks. Plenty of graduates want or need to do this fast. They take the entire 40 hour program in one week. Combine the afternoon class with either the morning or the evening class and you can finish in a week. Does it work? We had a grad start the program on a Monday morning, finish that Friday Afternoon, and he started bartending that night in Adams Morgan at an employer that has hired dozens and dozens of grads. Employers love our training. You will too.